Nearly 125 years ago, J.H. Findorff started a construction company. His first project was carpentry work at the UW-Madison Armory and Gymnasium, known today as the “Red Gym.” Over the years, the company - selected as the 2013 Builder of the Year by The Daily Reporter (among many other accolades) - has designed and built some of the most recognizable structures in Madison. 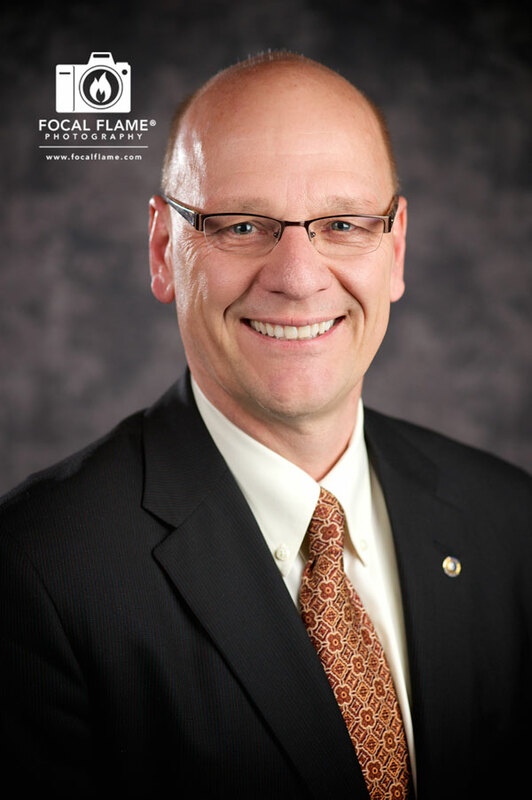 Focal Flame Photography recently had the opportunity to create business portraits of Findorff executives. We asked Findorff spokesperson Nancy Mayek about the firm's role in shaping Madison's skyline. Rich Lynch, Chairman, has served on the Board of Directors of many civic organizations including the United Way of Dane County and the Greater Madison Chamber of Commerce. During his collegiate days as a swimmer he competed against Mark Spitz, who would become a 9-time Olympic champion. Focal Flame Photography: Tell us a bit about your company. Findorff: From [our founder's] humble beginnings as a carpenter, through the Great Depression, World War II, and changing attitudes and architectural styles, J.H. Findorff & Son, Inc. has established itself as an industry leader by adopting emerging building technologies and staying in front of innovative construction techniques. Today, the company employs an average of 700 people between its Madison and Milwaukee offices. Findorff’s leadership has an average of 26 years of industry experience and serve as great mentors and leaders. In the last 10 years alone, Findorff has earned over 100 awards recognizing our commitment to quality construction and civic initiatives. Tim Stadelman, CFO, has been a proud Green Bay Packers shareholder since 1997. He has served on the Board of Directors of the American Red Cross - Badger Chapter, among other nonprofits. Findorff: Character. Community. Craftsmanship. These are the basis of our businesses, as well as innovative building techniques, uncompromising professional ethics, and commitment to client service. FFP: J.H. Findorff has designed and built some of the most iconic buildings in the Madison area. Which ones might readers recognize? Findorff: Monona Terrace Community and Convention Center, Overture Center for the Arts, UW Hospital, Chazen Art Museum, Wisconsin Institute of Discovery, CUNA Mutual, and our own Findorff Corporate Headquarters. FFP: Did any of these buildings present special challenges? Findorff: Monona Terrace posed the unique challenge of building over the water which necessitated footings constructed in the bottom of the lake. Another major challenge was building the Camp Randall deck between football seasons; at times, every field employee was on that job (except for two). FFP: What have been the most interesting trends you’ve seen within your industry? Findorff: We are most excited about sustainable and green initiatives. FFP: Are there any ways that your company tries to “give back” to the local community? Findorff: In 1901, a fire destroyed the Findorff building, tools, full freight cars and everything stored within. The community encouraged J.H Findorff to rebuild. Ever since, the organization has maintained a focus on giving back to the community. Currently, we participate in and sponsor many community fundraisers, encourage our employees to volunteer, and provide financial gifts to local organizations and causes. FFP: Why did you choose Focal Flame to create your executive portraits? Findorff: We needed Executive head shots and Focal Flame offered great value. The overall experience was great. [Focal Flame founder and lead photographer] Clint Thayer toured the office prior to the photo sessions, determined the best location for the photos, and was very flexible, even rescheduling due to inclement winter weather. We salute Findorff as the company prepares to celebrate 125 years dedicated to building Madison's future. Considering fresh imagery, headshot portraits, or video production for your business? Contact us today. We'd be happy to discuss your needs.